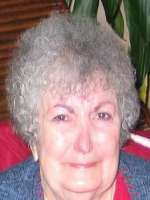 Catherine A Stanford (Johnstone), age 73, died Thursday morning, January 7, 2010 at her home in Glendale, AZ. Visitation will be held, Monday, January 11th from 5:00 – 6:30 pm with the Funeral Service at 6:30 pm at Whitney & Murphy Funeral Home, 4800 E. Indian School Rd., Phoenix. A Graveside Service will be held Tuesday, January 12th at 10:00 am at St. Francis Cemetery, 2033 N. 48th St., Phoenix. Mrs. Stanford was born in Queens, NY May 26, 1936 to Thomas Patrick and Barbara Ann Johnstone. She and her family moved to Phoenix, AZ in 1942 where she attended St. Mary’s Elementary and High Schools. Mrs. Stanford spent most of her career in book keeping and retired as Director of Staffing at Maricopa County Hospital. In her youth Mrs. Stanford enjoyed swing dancing. 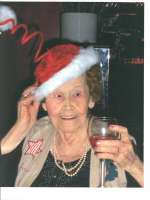 Later in life she liked to watch old movies and play Pinochle. She is survived by her siblings Thomas Johnstone, Donald Johnstone and wife Eleanor, Eileen Monaghan, Margaret White and husband Greg; her children Patricia McDuffy and husband Boyd, Timothy Stanford and wife Mary, Pamela Martin and husband Bill, Kimberly Williams and husband Darrel; her grandchildren Joshua, Courtney and husband Joseph, Adam, Matthew, Jacqueline and Christopher; as well as two great grandchildren Joey and Alyssa. Condolences may be sent to Whitney & Murphy Funeral Home. In lieu of flowers, donations may be made in Catherine’s name to St. Vincent De Paul Society, P.O. Box 13600, Phoenix, AZ 85002. 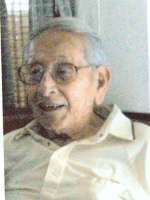 81, of Phoenix, AZ has returned home to the lord on January 25, 2010. She was born November 3, 1928 to Pablo and Elva Galvan in Walsenburg, CO. 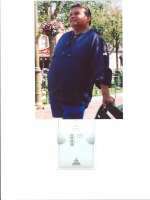 In l945 she met and married her best friend and soul mate Bernard Maldonado. For 64 years of marriage, she has been the most loving and caring wife and mother. She is preceded in death by her parents Pablo and Elva Galvan and her son Michael Maldonado. Left to cherish her memory is her beloved husband Bernard and their children. Patricia Valenzuela, Catherine Guzman (Alfred), Sandra Barrera (Ricardo), Lisa Sanchez (Carlos), Joann Maldonado and their “angel” Joseph Paul Maldonado. 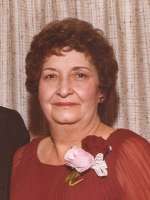 She was also a loving grandmother to grandchildren Dion, Eric, Celeste, Rocky, Alex, Dolores, Michael, Bernard, Carlos, Veronica, Lorenzo, and her 14 great-grandchildren. She is also survived by her loving sisters, Cordy Baca (Leroy) of Fort Collins, CO, Elsie Olguine of Denver, CO and her numerous nieces and nephews. She shared her kind and loving nature with family friends and everyone she has touched. She will be loved and missed greatly by all. A special thanks to her caregivers, Connie, Miranda and Graciela. Memorial Mass will be held at 11:00 am, Monday, February 1, 2010 at St. Theresa Catholic Church, 5045 E. Thomas Road, Phx.